Oblivion is a game that really taxed all of the cards at the time of it's release. Well over a year on and the current generation of cards simply fly through it. However, with advanced HDR, excellent draw distances, detailed grass and scenery as well as fantastic water/magic effects it's a good game to gauge performance for those who love RPG's. 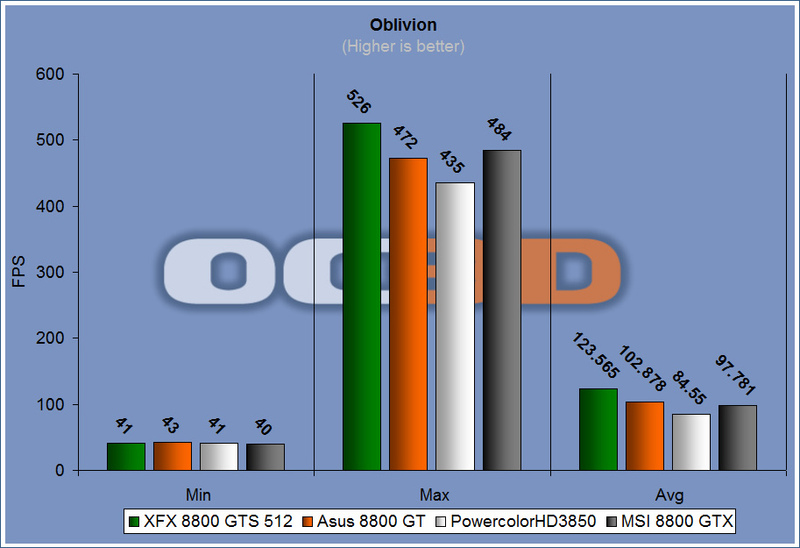 Oblivion was a mixed bag of results again, but showed that the XFX 8800 GTS comes out top on performance. The Asus 8800 GT again held it's own and indeed, all games tore up this benchmark. Company of Heroes is a WWII-based RTS game that has an enormous amount of world detail. I played a DirectX patched version of the game that gives modern GPU's a bit of a workout. 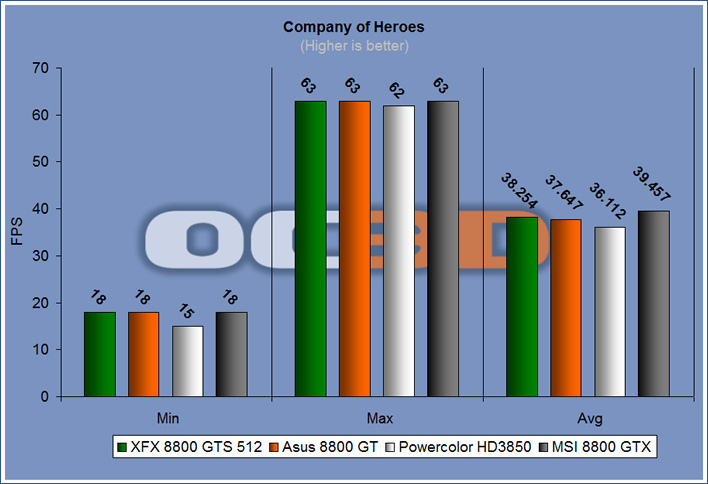 The 8800 GTX comes out top in this game that seems to utilise more DirectX10 features. The XFX 8800 GTS and Asus 8800 GT both do very well as well here with a silky smooth framerate allowing for a very enjoyable experience.